I am a moscato aficionado. The truth is, I’m just a really, really, really big fan of the stuff. Especially the kind with the teensy tinsy, itty bitty bubbles. They get me every time. 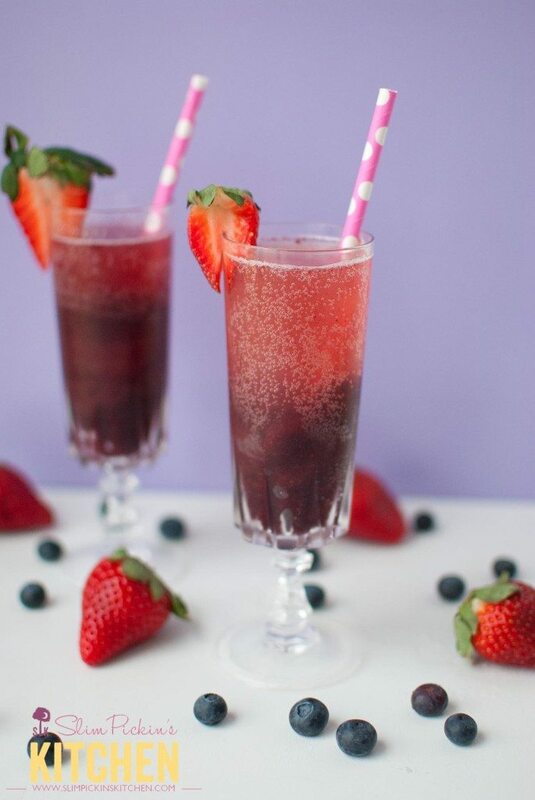 Drop a scoop of boozy blueberry sorbet into the mix and make me this blueberry moscato sparkler, and I’ll be your lover for life. I’m so the girl who lugs a giant bottle of Yellow Tail Moscato with me to every party I go to. Not like I’m going to those very often anymore though. Yellow Tail is one of my favorite brands because it’s cheap, I can easily find it in any rinky dink grocery store in town and because…BUBBLES! I’ve made the mistake of straying from my norm every now and again and trying a different brand, but I always seem to end up disappointed. Some aren’t sweet enough. Others aren’t bubbly and then there are the brands that give me a headache after the first sip. I really haven’t found another brand of moscato that has the same sweetness and the perfect amount of effervescent that I can find in a bottle of my trusty Yellow Tail. Have y’all tried it yet? What kind do you like best? What female doesn’t like Yellow Tail wines anyway? I’m pretty sure in this day and age they’re considered, like, the classier version of the Boones Farm we all used to slug back in high school. Actually, my husband loves most of their wines too! OMG. 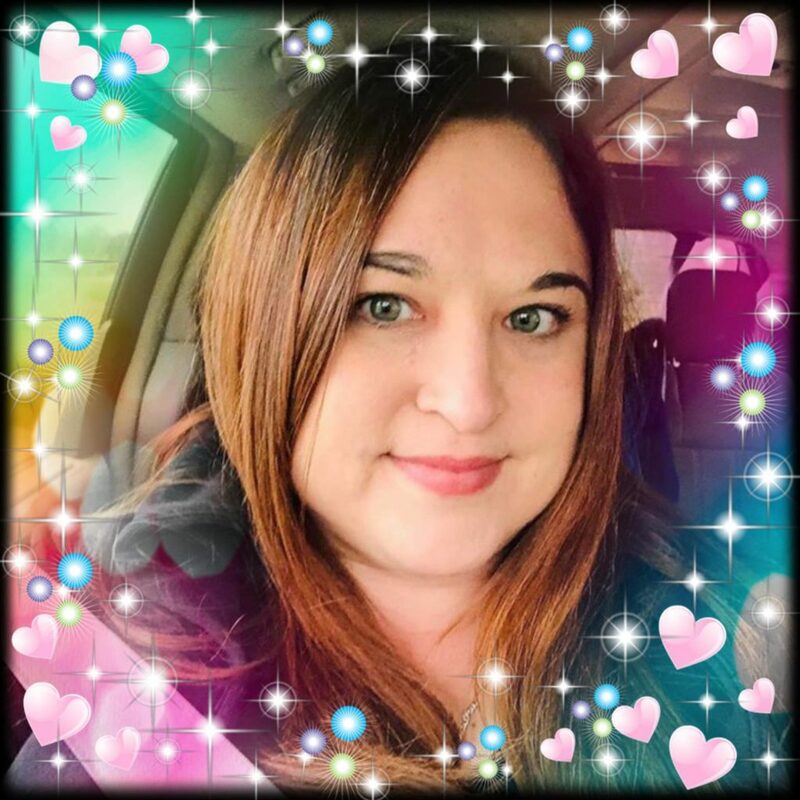 Anyway, no this post is not at all sponsored by Yellow Tail wines, I’m just a freakazoid about their Moscato and apparently I’ve let the bubbles go to my head. So, these blueberry moscato sparklers, y’all. Holy crap they are incredible! 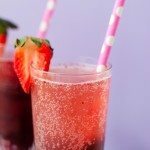 Plus they are the perfect cocktail to make for Valentine’s Day or any other day of the week worth celebrating. 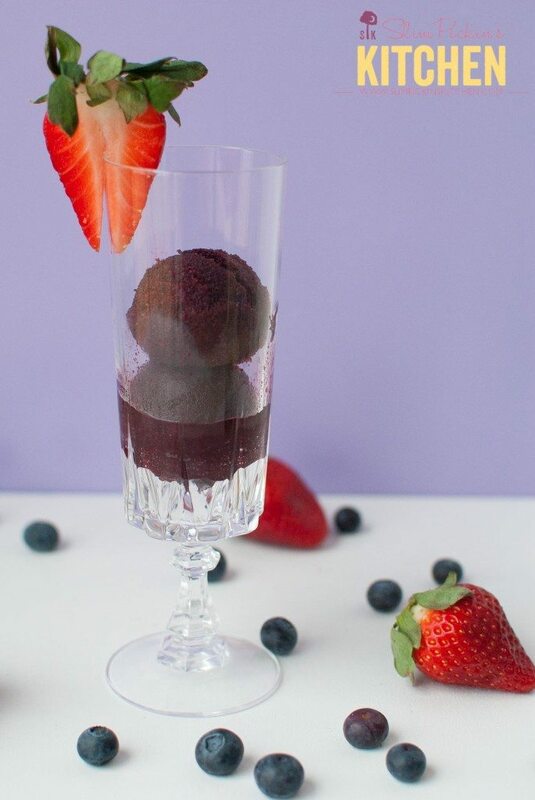 All you have to do is make a batch of the blueberry sorbet I posted earlier this week (or use your favorite store-bought!) then pour some moscato over the top. 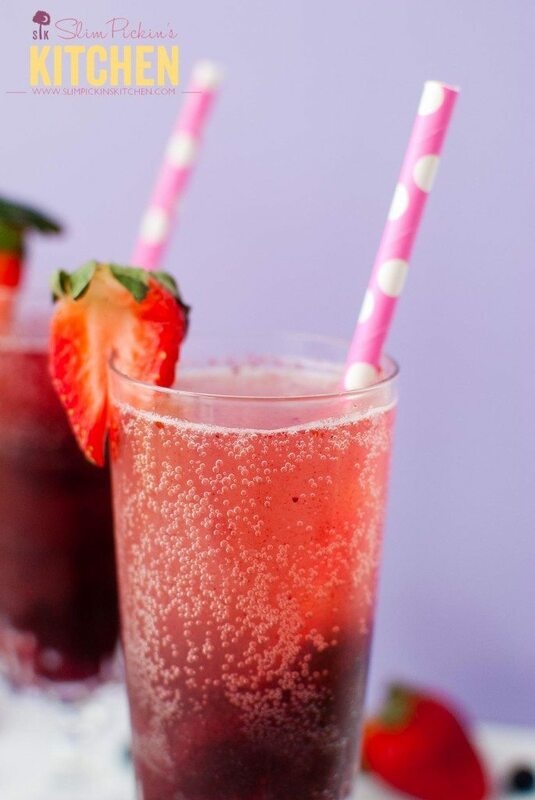 Throw in a berry or three and VOILA! 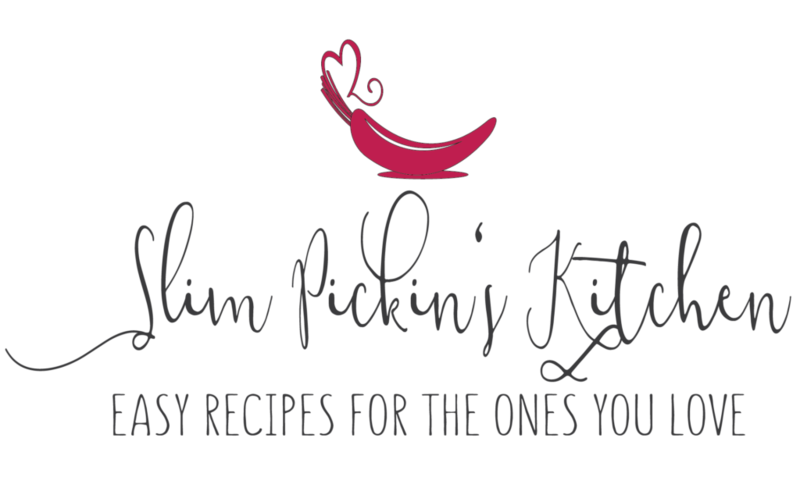 You’ve single handedly made both your Valentine’s Day cocktails and dessert in one fell swoop! 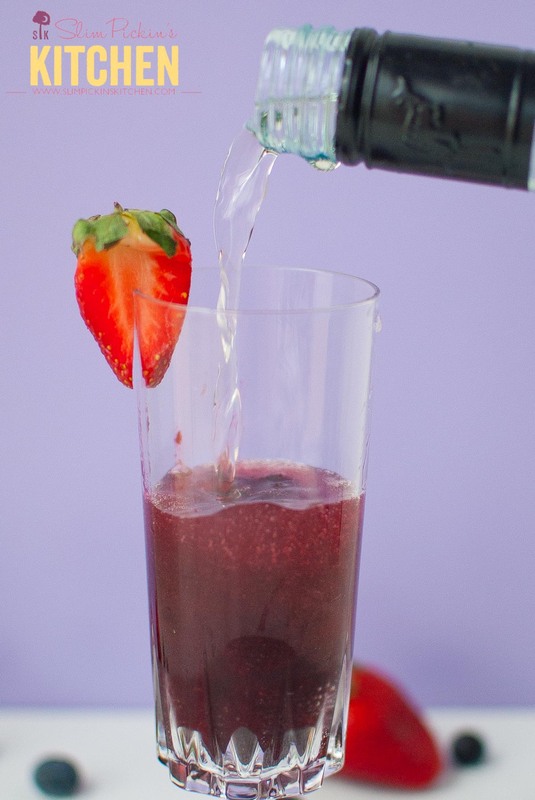 These gorgeous, bubbly Blueberry Moscato Sparklers are the perfect elegant cocktail to serve for Valentine's Day or any other day of the year worth celebrating! 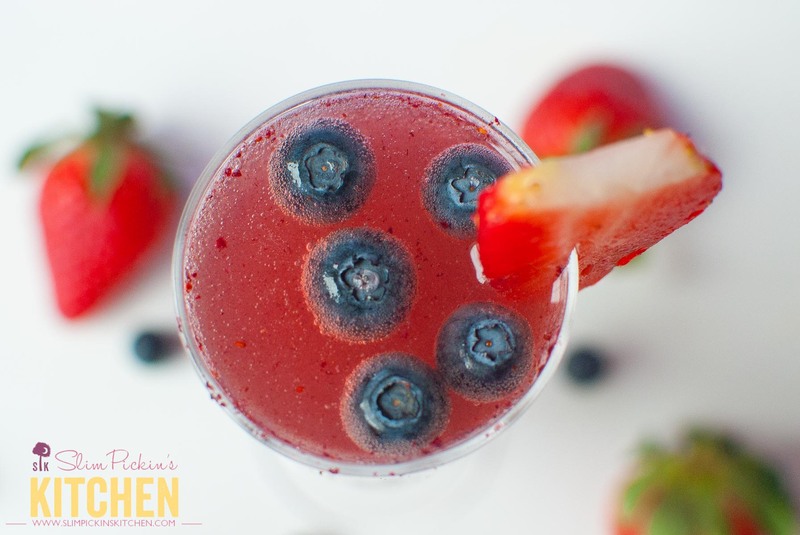 Add 2 scoops of blueberry sorbet to each glass then top off with Moscato or champagne. I’m not a HUGE moscato fan. I’m typically more of a reisling or pinot grigio girl. That said, I will definitely drink a bottle…I mean GLASS…of moscato. I generally like Yellow Tail’s wines, although we’re mostly buying boxes now that that’s “trendy”. The Target brand is actually pretty tasty!